Curl up next to the fireplace on chillier nights. Ideal for enjoying a good meal or a card game. Serene master bedroom located on the first floor with a king-size bed. Spacious bathroom with a combo shower and bath. With a queen size and a twin bed. A sweet little spot to cuddle up with your favorite book. Stunning views from the second floor. Extra room with two futons and a bunk bed. Located down a short path and across the road from the house. Swim, dock your boat, fish or just relax. 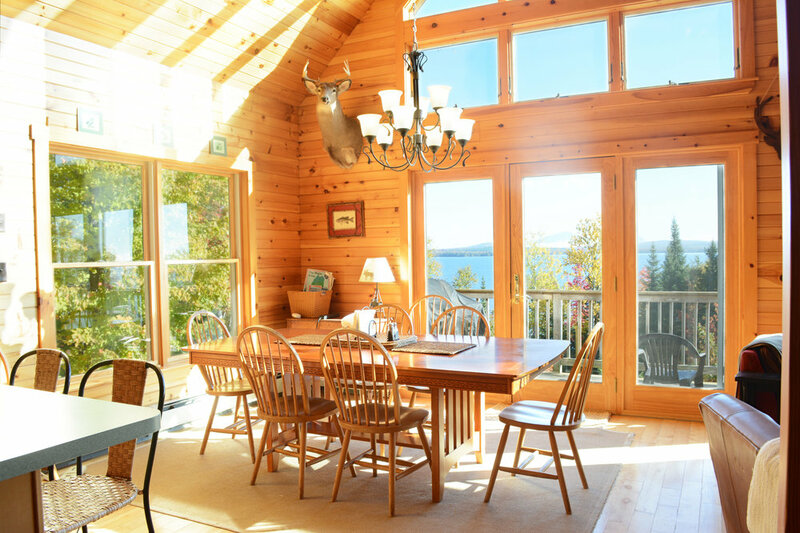 Built on a ledge this home is 'Straight Up' from the Moosehead Lake shoreline. 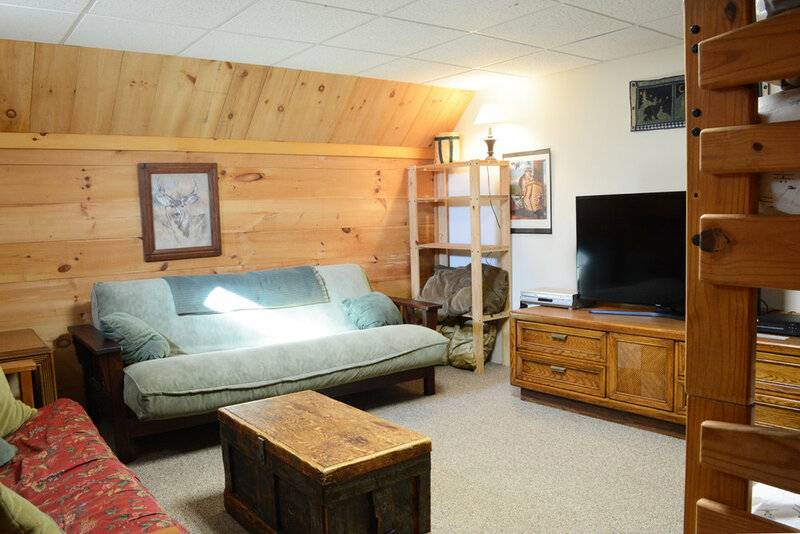 This home has everything you want in a relaxing Maine getaway without giving up the comforts of home. This large camp sleeps 8 people. The upstairs has two bedrooms (a queen size bed in one room and a queen and twin in the other), a full bath and balcony with reading nook. The master bedroom is on the main floor with a king size bed and an attached full bath. 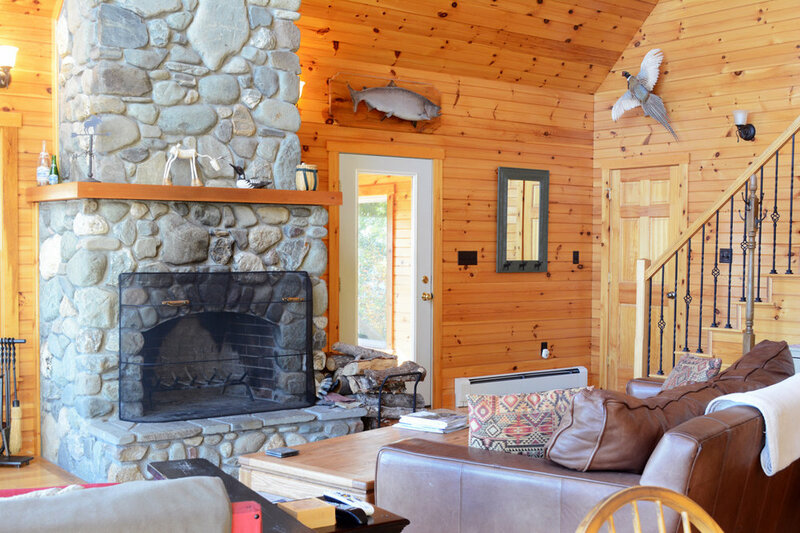 The main floor has a large great room with an amazing stone fireplace, sitting area, dining area, fully equipped kitchen and a great view of the lake & mountains. There is also a laundry room with washer & dryer, a screened in porch and a daylight basement with a sitting/media room with a large TV and futons and a bunk bed for additional sleeping. Just off Route 15 in Rockwood it is private yet accessible. 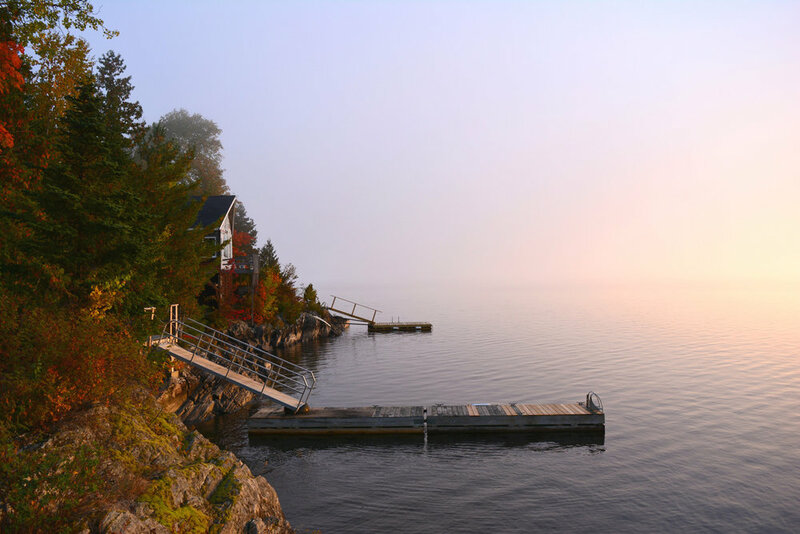 The dock is in a fabulous spot down over the hill; great for swimming and docking your boat. There is a public launch within walking distance.